His name is Muhammad Majid Bakr. 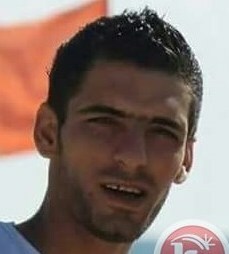 He was a 23-year-old Palestinian fisherman killed by an Israeli rifleman patrolling on a naval boat in the Gaza Sea. When he was shot, Muhammad Majid Bakr (left) was fishing at 8:30, Monday morning, 69 years since the day the Nakba began. Muhammad was shot in the chest when he and his brother Umran Majid Bakr, were in their small fishing boat in the waters of the Gaza Sea. Bleeding profusely, Muhammad was taken to an Israeli hospital where he died, the latest Palestinian victim whose death came, Israeli officials claim, because his boat had “deviated from the designated fishing zone”. The Bakr brothers had entered the Gaza Sea the morning of the day Muhammed died, to fish for food to eat, to share, perhaps to sell. They had traveled from their home in al-Shati, refugees in their own land, a land which has suffered under colonial occupation since the army of a newly-formed state of Israel began its invasion of Palestine on May 15, 1948, 69 years ago. Al-Shati is now a city with a population in excess of 80,000. It was created in 1948 as a refugee camp for about 23,000 Palestinians, all of whom had been driven from their homes in the cities of Jaffa, Lod and Beersheba. Palestinians have designated May 15 as the Day of the Nakba, an Arabic word for catastrophe. Palestinians in Israel and the current state of Palestine, marked Nakba 69 with rallies, marches and candlelight vigils. Thousands of Palestinians in the cities of Ramallah and Bethlehem marched in the streets carrying Palestinian flags and keys symbolic of the “right of return” for refugees who lost their homes during the Nakba. Israel continues to make it difficult for Palestinians to commemorate Nakba. It has passed a “Nakba law” that “authorises Israel’s finance minister to revoke funding from institutions that reject Israel’s character as a ‘Jewish state’ or mark Israel’s ‘Independence Day’ as a day of mourning”. Nakba Day 69 is also the 29th day of the hunger strike of 1,500 Palestinian political prisoners in Israeli jails, a hunger strike designed to draw world attention to the injustice of Israel’s occupation. The strike has been largely ignored by American media. Outside the Zionist iron dome that smothers American culture, scattered attention is paid to the occupation. You American readers, raise your hand if your local church or synagogue remembered the suffering of the hunger strikers in their prayers this weekend. Anyone? Didn’t think so. The capital city of Ireland did more than offer prayers. Last month, a Dublin City Council sub-committee passed a motion to fly the Palestinian flag over Dublin’s City Hall. “Wow… imagine what would happen if all people around the world become like Irish people… We will get our freedom”. I am angry at the fact that this is a year of milestones, each adding to the previous one’s devastation, with none celebrating a major victory. 2017 marks one hundred years since the Balfour Declaration, 69 years since al-Nakba, 50 years since al-Naksa. And yet for many, it is only that most recent blow, ‘the occupation,’ that registers as wrong, as if imperialism, settler-colonialism and genocide were perfectly acceptable. 2017 marks 50 years of al-Naksa, which is Arabic for ‘the setback,’ an assertion of previous harm. That harm continues with Israel’s continuing “imperialism, settler-colonialism and genocide”. Muhammad Majid Bakr died because, Israel claims, his fishing boat “deviated from the designated fishing zone”. Who determines the size of that zone? The answer starts with the Oslo Accords, one of those international depraved steps the great powers of the West took to enable Israel to expand its colonial state into absolute control of Palestine. 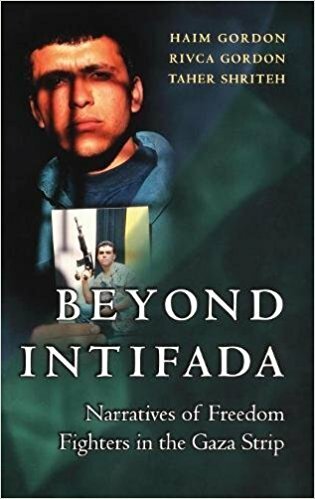 In their 2003 book, Beyond Intifada: Narratives of Freedom Fighters in the Gaza Strip, Palestinian author Taher Shriteh, and two Israeli authors, Haim and Rivca Gordon, examined the history of Israel’s “designated fishing zones”. 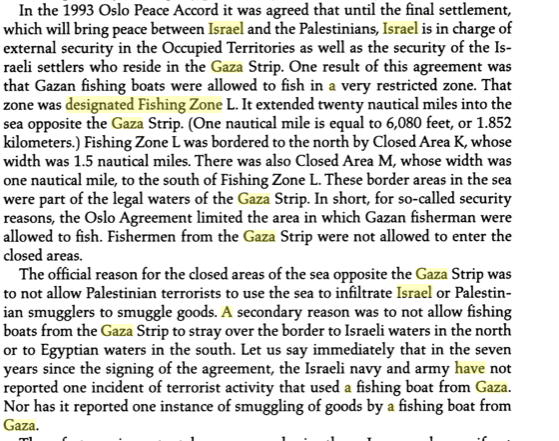 Like every other purely arbitrary imposition Israel establishes over Palestinians, the “designated fishing zones” shift through Israel’s whims. And, the zones are always imposed in the name of that most precious tool in Israel’s control system, “the security of the Israeli people”. Such an absurdity and such a deprivation of Palestinian freedom, led to the death of Muhammad Majid Bakr. In the picture above from Mondoweiss, the granddaughter of 97-year-old Abdul Hadi Qudeh, holds keys that belongs to a house his family were forced to leave after the establishment of Israel in 1948. 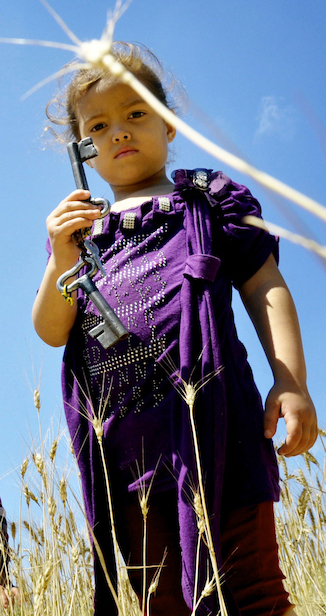 His granddaughter posed for the photograph in her grandfather’s field ahead of Nakba Day in Khan Younis in Gaza, May 14, 2014. (Photo: Mohammed Talatene/ APA Images). This entry was posted in Gaza, Israel, Middle East. Bookmark the permalink. It’s long past tine to holding ISRAEL accountable as well as US supporters. Of all the tragic stories that today hold Palestinians together, none are quite so dramatic or sad as those from Gaza. In the years when my wife, Betty Jane, and I lived and worked in the Holy Land, part of my work was to accompany American journalists and other U.S. travelers to see Gaza first hand. Often we met with Yassir Arafat at his Gaza headquarters. Those days in the three years that followed the Oslo Accords, a great many, if not most, Palestinians were hopeful. But the continuing and harsh Israeli occupation has only brought disillusionment and desperation. One fact of Gaza life is that the Israeli’s have pumped so much potable water from the sandy soil of Gaza that the saltiness of the Mediterranean is seeping in. Gaza is a “big prison” where residents activities and travel is severely limited. No wonder there is discouragement, hopelessness, and anger. I have learned first hand that U.S. administrations–one after another–have caved in to Israeli stubbornness and lies. The jailers keep the fences locked and guarded and another generation of people are starved and held hostage. We fear that the present U.S. government may be the worst that we’ve seen, not so much out of the profound ignorance that is evident, but the flat-out bias that is purchased by flattery and smooth talk. One tragedy upon another. One of the few glimmers of hope is the careful documentation that Jim Wall provides for us. Well presented, Jim. Sad, sad, sad: I’m sad for the Palestinians and the torment they are forced to endure with no surcease in sight.